Lock Busters of Louisiana is a full service, 24 hour locksmith serving the greater Shreveport / Bossier City area and all surrounding locations. Our professionals have more than 20 years of locksmith experience specializing in automotive, residential and commercial lock and key service. We pride ourselves on customer service, and our top priority is to provide a fast response to all your emergency lock & key needs. Lock Busters is able to provide the best locksmith service available in Shreveport, Bossier and throughout Northwest Louisiana. Please do not hesitate to call us with any questions about your lock or locksmith needs. We can provide door lock hardware as well as lock and key services for a variety of lock types and brands. We offer key repair or key replacement, as well as key removal and extraction if a key becomes stuck in a door or ignition device. 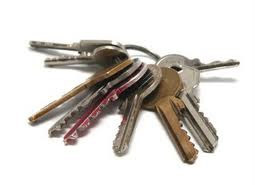 We can also re-key your locks as well as perform door and hinge repairs. Locked out of your business in Shreveport / Bossier Metro? We can be there quickly. We provide services for all commercial locks, master key systems, high security locks, push bars, even front doors and more. If you find yourself locked out of your car, don't worry. Just call a 24 hour Louisiana locksmith at Lock Busters! We can handle car unlocks, key extractions or door lock repairs. Lose your keys altogether? We can make car key replacements, motorcycle keys, scooter keys, boat keys and just about any other key. 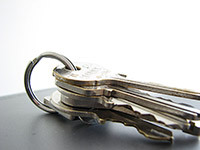 We're your Shreveport / Bossier locksmith, key maker and lock professional. If you need assistance, just give us a call! 318-925-5522.